Submitted by cathytran on Tuesday, May 12, 2009 - 12:32pm. One of my favorite places to eat is the Crab Hut, especially on Saturday nights because of the fun atmosphere, but beware of a long wait during peak hours. What's fun is peeling and eating shrimp with your bare hands. They also offer lots of other seafood choices (such as crab, crawfish, calamari, and catfish) along with appetizers, side dishes, desserts, and drinks. 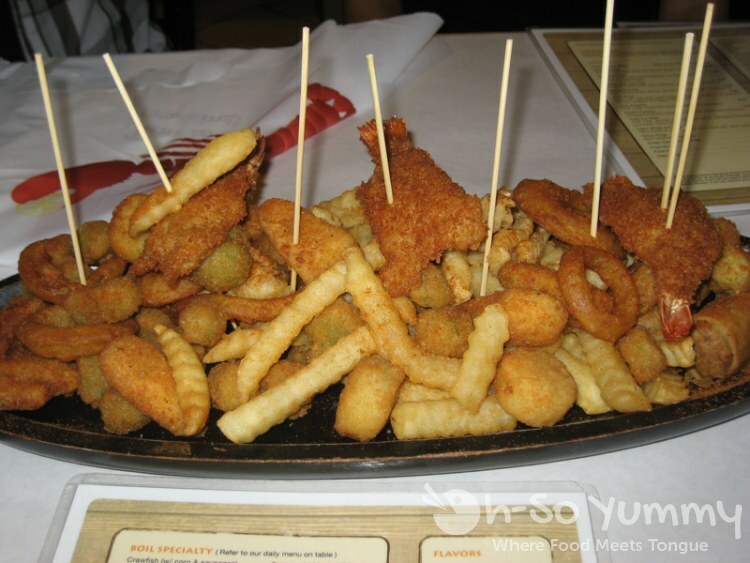 We started with the Sampler Platter (about $16 or $17). I really like their cajun fries. They're thick crinkle cut fries sprinkled with a cajun powder. The platter also comes with fried okra, deep fried, hand-battered catfish fillets, crab poppers, potato poppers, fried shrimp, and Crab Hut rolls. I think it might also come with crispy calamari and beer-battered onion rings, but I can't remember... Definitely a lot of different foods to try! And they bring out several dipping sauces, too. 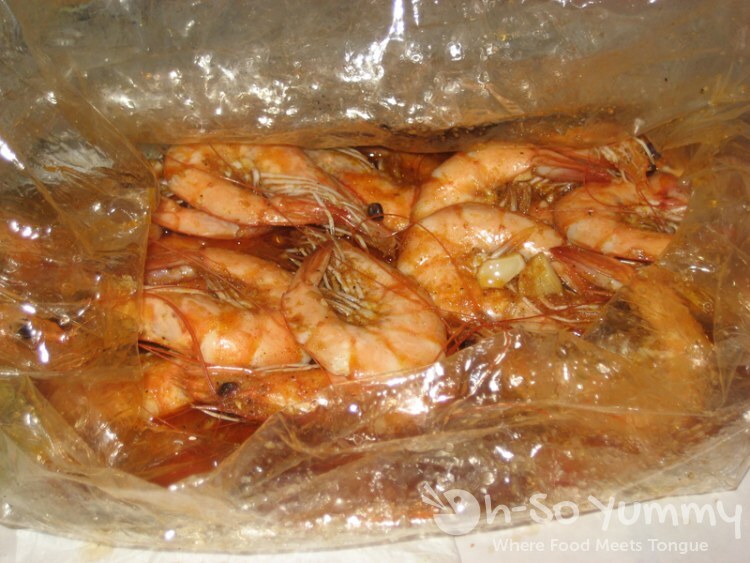 You can order the Shrimp by the half pound ($6.99) or pound ($9.99). They boil it in your choice of flavor: cajun sensation, lemon pepper, garlic butter, full house, old bay, or plain. You also get to specify the spice level: mild, 1/2 medium, medium, hot, or knock out. It comes out in a clear plastic bag. Put on your bib and enjoy! 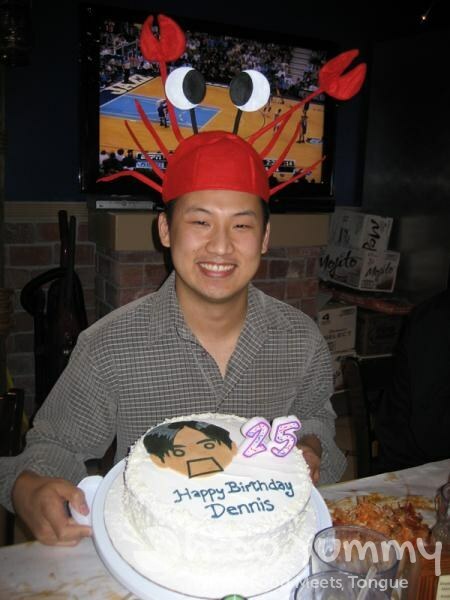 We've been here several times before, but this time it was for Dennis' 25th birthday. They come out singing and banging a crab bucket. They also give the birthday boy or girl a crab hat. Fun times were had by all!